We've compromised a bit of veggie growing space this season for more flowering plants. Several are self-seeded. In all my plans to learn more and incorporate more of companion planting this gardener has not the heart to pull them out. 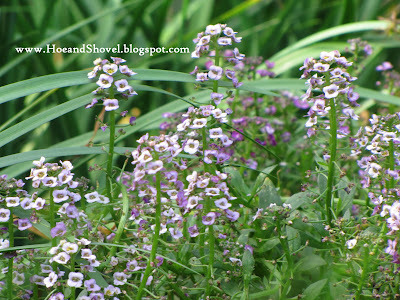 But many more were planted simply because our winter/early spring months are the only time we can grow lovely pretties like sweet alyssum and bacopa. In my garden anyway, they just don't tolerate our high humidity levels in summertime. 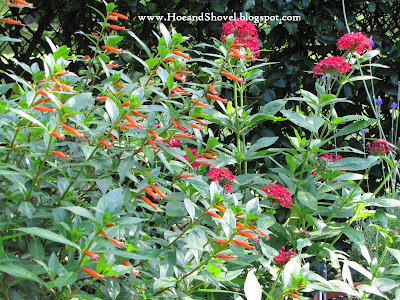 Other perennial varieties, Cuphea cigar plant and red pentas, flowering high over veggies like spinach and lettuce serve to shade them a bit from the intense sun. Not so much now but back when they were first seeded in October and our days were longer and hotter. Consideration that we are embarking on the busiest time of the year is made when calculating the harvest time for a fall garden. But somehow when it comes around to the Christmas day count-down I find myself wishing for the gift of time to be in the garden and also get all the to-do list accomplished. 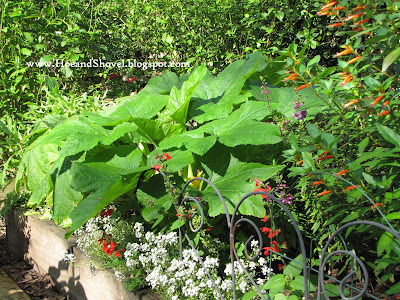 Actually the garden today (shown above) is three times the size of last winter's garden. Four additional beds were dug out back in the spring. Looking back through the archives there just happened to be a photo taken the exact same day one year ago. You can see our two lonely jam-packed boxed-beds were giving their best to produce maximum results with this novice veggie gardener's help. 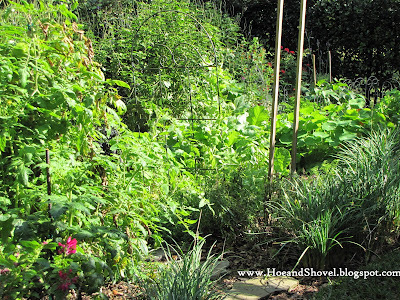 Tomatoes, pole beans, carrots, lettuce, green beans, and radishes all vying for the same soil and nutrients. This year that back bed is home to more flowers than veggies. I think I've learned a couple of things along the way. 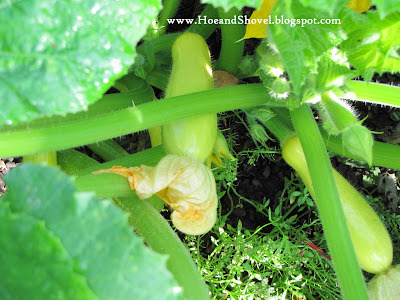 Only two summer squash plants as they are quite assuming in their space usage. Since we surmised we cannot live without their tasty, tender fruits, we cut back on the number of plants rather than do without them altogether. 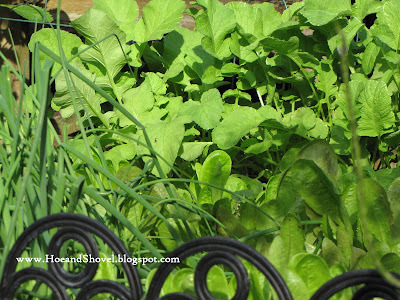 Lettuces, radishes, and chives thrive in our mild winter climate even better than they do in the summer garden. Continually feeling the need to make the best use of the small side yard space I keep adding pots in the sunniest places with succession seed planting to aid in enjoying an extended harvest. Tomatoes have been rotated to a new bed each season. 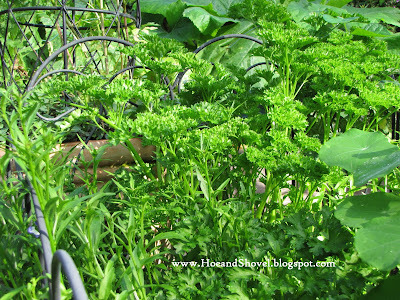 In their winter home they loom tall and obtrusive in the very front curvy bed shading parsley, basil, carrots, and onions. Parsley, basil, and oregano are planted throughout the garden. 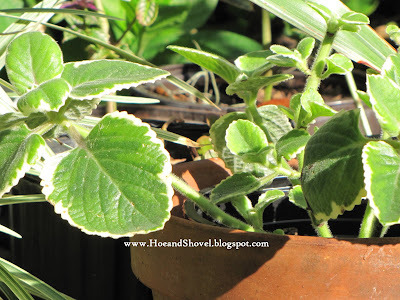 I usually buy starter plants in tiny 2" pots for .99 once the veggie seeds come up. 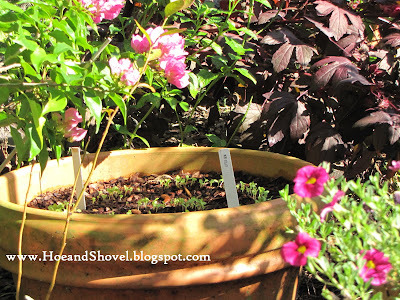 That way I can make the most of the usable space by filling in with herbs every place a spot of soil might be peeking through. 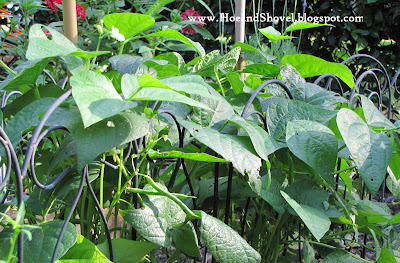 Two rows of Bush Lake green beans is sure to give us our fresh bean 'fix' we are so dependent on. 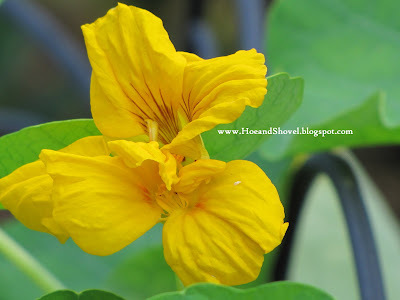 Nasturtiums are mingled in everywhere. And with my permission trail over the boundaries and occasionally through a patch of beans or collard greens. 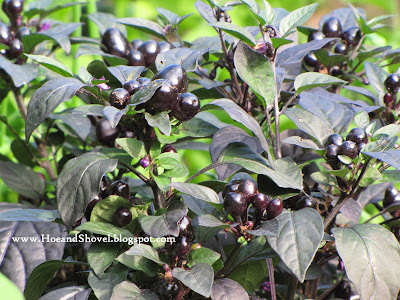 Speaking of mingling... the pretty deep purple peppers make a nice accent among all the green foliage. 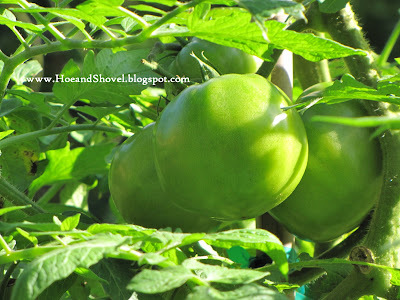 Right along with preparing for all the Christmas festivities and fun it is the veggie garden that draws us outside these last few weeks of the year. Once there, it is easy to stay. Certainly we didn't put in all that labor and love in October and November without some efforts in December as well. The harvest today is reason enough to inspire us onward with our endeavors. Christmas dinner is looking fresher every day. And to think the last several mornings I have had to de-ice my car to get home from work...did I really live in Florida this time last year? Merry Christmas!!!! 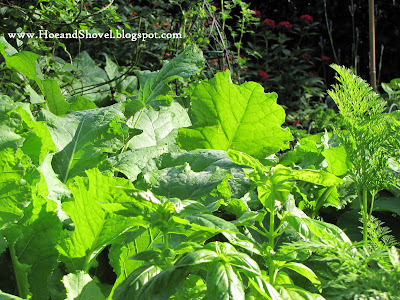 Your vegetable garden looks really outstanding. It's really cool to be harvesting vegetables in December. Looks like summer there still. You always amaze me with your carrots. Meems, now that is just sickening ;-) Here you have all this green and veggies too and all I have is snow. 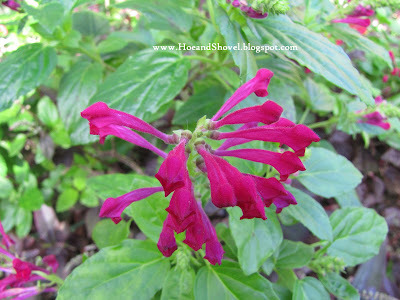 When I want to "see" sunshine, I come to your blog! You veggie garden is so amazing to me. It's so cold up here and it doesn't help that I've been sick for what seems like forever. I think the cough is finally subsiding. Sorry that I've been gone so long. I've been barely writing on my blog... just not into it with my brain fog. I've not walked in my garden in a couple of weeks. I have no idea what's happened with day after day of 20 degree mornings, torrential rains, hard freezes and even snow. My camera hasn't been used since the first of December. 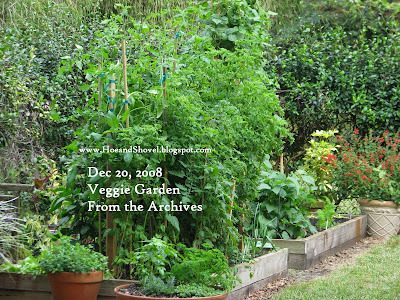 Hi Meems, At first I thought this was Marmee's blog--and I couldn't believe that she was getting veggies from HER garden in December here in TN... ha ha ...Then I realized it was YOUR blog. I can understand you getting some great veggies--since you are in sunny Florida... 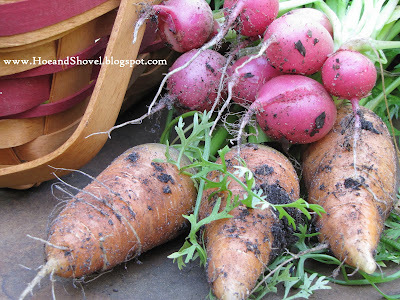 Isn't that neat ---that you can eat Christmas Dinner fresh--right from the garden... Wow! What an amazing garden, Meems! The peppers look spectacular and I love the idea of nasturtium trailing into your veggie garden. Hi Meems, i like the idea of a veggie garden accompanied by flowers. Just like the Victorians did, back in old England. Lucky you with all those great looking veggies! -Wishing you a happy Christmas! Gosh this looks like a summer garden around here Meems. Such beauty. Seeing it give me great pleasure and it makes me become more excited about the coming growing year. Merry Christmas to you and yours. Indeed, Meems, you are blessed with lovely Christmas gifts from the garden! I sure miss my fresh herbs (brought rosemary inside) and nasturtiums. Wishing you a beautiful holiday season ... Merry Christmas! this seems to me to be the perfect compliment to the busiest of seasons...a nice stroll in the very abundant veggie garden and picking for a daily harvest...perfection in december. so glad you shared this with us with all of our very cold weather...it is a nice little break. i am so happy you pursued planting with the problems you had at the beginning of the season...now you are most definitely reaping the rewards. you are having a very merry christmas. Oh my goodness, Meems! Here we are with ice and snow and rain and wind and cold and mild...and you're harvesting veggies and enjoying flowers. Well, I'm glad of these things, because those bursts of flowers and foliage and produce just made my morning, as it's dull and grey here. Happy Christmas to you and yours from me up in the wilds of NS! Your garden is fantastic Meems. I didn't get out there & do anything with mine this fall. Too much health issues going on. 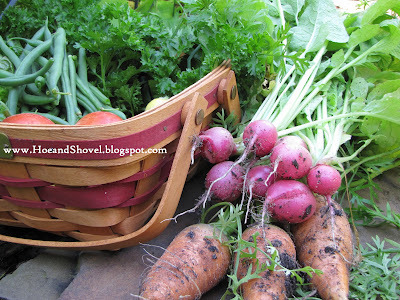 I miss my fresh veggies this time of yr.
Not surprisingly Meems, your veggie beds are works of art in their own right! I'm enjoying a moment basking in the sunshine of your winter garden. 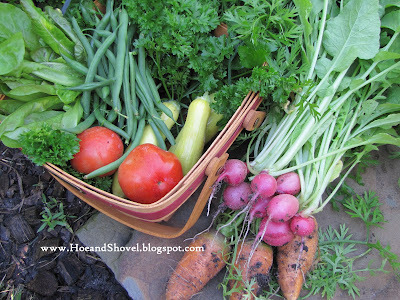 We can all be so lucky to have a vegetable garden like you in December!